Using educational sessions to motivate participants to contribute and learn about their 401k plan benefits and overall financial wellness. Helping you comply with your ERISA, DoL, Section 404(c), and Qualified Default Investment Alternative fiduciary compliance responsibilities. Providing performance reporting and monitoring services for 401k and non-qualified retirement plans, including fund searches and replacements. 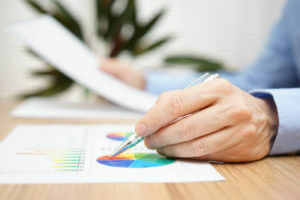 Reviewing every aspect of your 401k plan's costs. Benchmarking your plan versus your industry and region. Making sure you know how your plan compares to the market and your competitors. Ensuring your plan design is market competitive and leading edge. Recommending improvements focused on participant retirement readiness. Designing strategies that decrease costs. Evaluating your service providers versus the market. Ensuring that you are not overpaying. Managing searches to find providers that are the right fit for your unique culture. If you want your employees to value their 401k plan and fund it to the extent necessary to enjoy a secure retirement, then effective employee education and communication are critical. 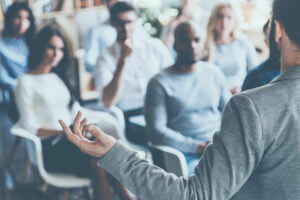 Like many 401k plan sponsors, you may find it difficult to draw your employees into education sessions and motivate them to participate in your plan. Lawton Retirement Plan Consultants, LLC (LRPC) will lead 401k employee education and financial wellness education learning sessions that are tailored to your unique corporate culture and employee demographics. LRPC has extensive experience managing successful employee education sessions that inspire participants to learn about their 401k plan benefits and improve their financial wellness. 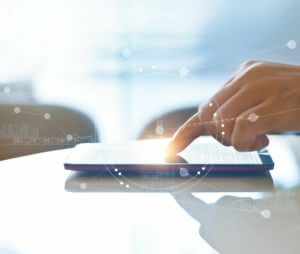 The firm will lead group education sessions that are fun and informative, offer one-on-one meeting opportunities to all employees, and provide unlimited phone consultations to employees with questions. LRPC can construct an Employee Education Policy Statement for your 401k plan that is goal-oriented and strategic. The firm will share a full range of 401k employee education services that can be customized to fit your employees’ needs. 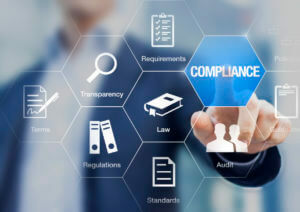 LRPC can also provide fiduciary compliance education to your Investment Committee and help you develop employee communication materials that are effective and easy to understand. 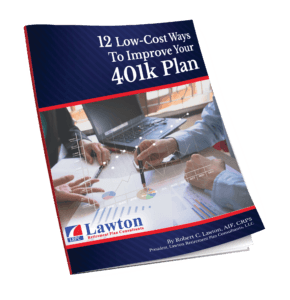 Lawton Retirement Plan Consultants, LLC (LRPC) offers a full menu of 401k investment advisory services to employer plan sponsors, including fund searches and performance monitoring. LRPC produces reports using a report card format and will recommend whether to “Retain,” “Replace,” or move a fund to the “Watch List” for each reporting period. Performance monitoring criteria originate from the Investment Policy Statement, providing a solid link in the fiduciary compliance process. LRPC has access to the complete universe of over 30,000 investment choices from more than 750 fund families representing over 100 asset classes. 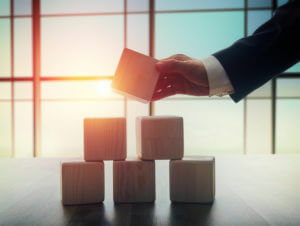 Using 68 unique, objective evaluation criteria, the firm will select, monitor, and report on the investment options in your 401k plan in a manner that helps your plan maintain fiduciary compliance. As an independent, objective investment adviser, LRPC does not accept soft-dollar 12b-1 or sub t/a payments from mutual fund companies. Unlike brokers, bankers, and insurance company advisors, the firm has no proprietary investment products, executes no client trades, and holds no client assets. LRPC’s sole motivation is to provide its clients with the best 401k investment advisory services. As a Registered Investment Adviser (RIA), the firm signs on as an ERISA fiduciary to each of the plans it advises. Lawton Retirement Plan Consultants, LLC (LRPC) offers a broad spectrum of 401k fiduciary compliance services. The firm’s goal is to help you completely understand your fiduciary and compliance responsibilities. There are many elements involved in 401k fiduciary compliance. LRPC will work with you to implement a tight 401k fiduciary compliance process, helping you achieve the peace of mind that comes from knowing you are doing things right! The firm signs on as an ERISA fiduciary for each of the plans it serves. If your 401k plan is audited by the IRS or DoL, LRPC can help. Robert C. Lawton, AIF®, CRPS®, has experience working with IRS and DoL auditors and can share his expertise to help navigate this difficult situation. Sometimes low employee participation in a 401k plan is the result of less than optimal 401k plan design. On occasion, it may be necessary for your firm to look for cost reductions in your employee benefits package. It is always necessary to ensure that your 401k plan remains market competitive. Lawton Retirement Plan Consultants, LLC (LRPC) will review your current plan design and suggest participant outcome-focused alternatives that may increase participation and/or reduce costs. Innovative and forward-thinking, LRPC can help you maximize the value of the dollars you spend on your retirement program. Thinking about changing a provider relationship in your 401k plan? Not sure if you are overpaying for administrative services? Do you have a unique culture that you wish providers would take the time to understand and respect? 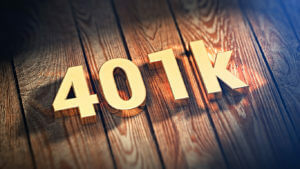 Let Lawton Retirement Plan Consultants, LLC (LRPC) manage your 401k provider services. LRPC can manage a provider search for you, bringing in best-in-class trustees, custodians, and recordkeepers for your review. Robert C. Lawton, AIF®, CRPS®, has more than 30 years of experience working with a broad array of providers in the marketplace. He will determine who the best providers are for your 401k plan. LRPC takes the time to understand your culture and can recommend providers that will work with you in the way you have always wanted. Don’t take the risk of hiring the wrong provider. Let LRPC help you find the right fit for your plan, company, and employees. Unsure if the fees you’re paying your 401k providers are reasonable? Click below and complete the form and LRPC will help you find out! After working with hundreds of 401k plans for more than 30 years, I have compiled a list of low-cost quick fixes that can make a big difference in your 401k plan. Click the button below and complete the form to download the list. Click Here to Download Free! Click below to learn what to ask your investment advisor and what makes LRPC different. Find out why Robert C. Lawton, AIF, CRPS, is an award-winning 401k investment adviser! LRPC will give you a leading-edge 401k plan and ensure compliance with all fiduciary regs. 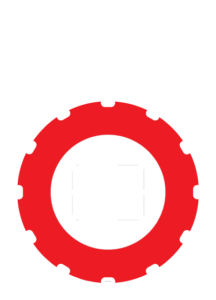 Important insights on retirement plans, the economy and investments – in 60 seconds or less. Subscribe to LRPC’s Monday Morning Minute e-newsletter.